Adelaide is the capital of the state of South Australia and one of the most populous cities of the country. The area was originally inhabited by the Kaurna people, then it got turned into a British province and named after Adelaide of Saxe-Meiningen, queen consort to King William IV. The city was designed in a grid layout, interspaced by wide boulevards and large public squares, and entirely surrounded by parklands. Today, Adelaide is noted for its many festivals and sporting events, not to mention its food and wine, its long beachfronts, and its large defence and manufacturing sectors. While tourism is not as high as in some of the larger cities, it’s still a very popular city in the eyes of tourists. 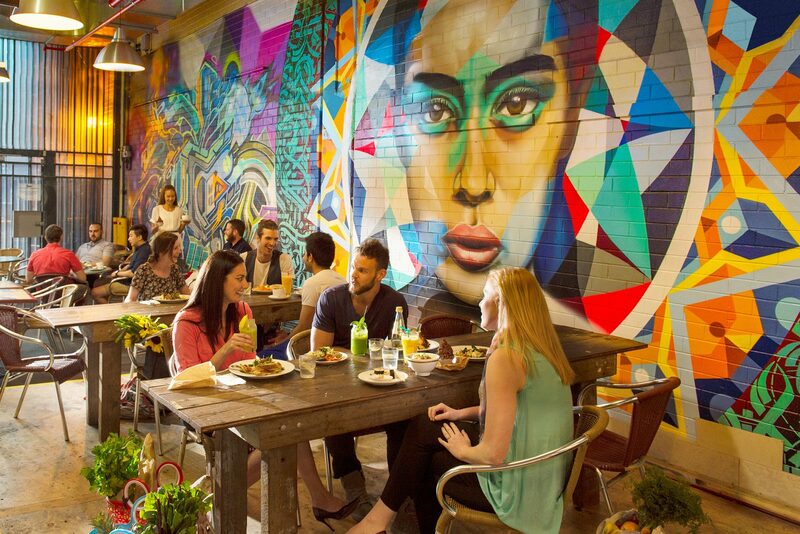 We have collected a list of the top 20 things to do in Adelaide to try to draw in even more people to this beautiful city. The Adelaide Botanic Garden offers eight gardens, a wetland and a forest, as well as architectural marvels like the Bicentennial Conservatory. the Santos Museum of Economic Botany, the Garden of Health and the Little Sprouts Kitchen Garden. These are all very diverse in terms of plants and flowers they showcase and are all worth a visit, as you will probably spend a long time here checking out all of them. The Adelaide Zoo is Australia’s second oldest zoo (after Melbourne Zoo) and gives home to about 300 native and exotic species, with over 1,800 animals on site. 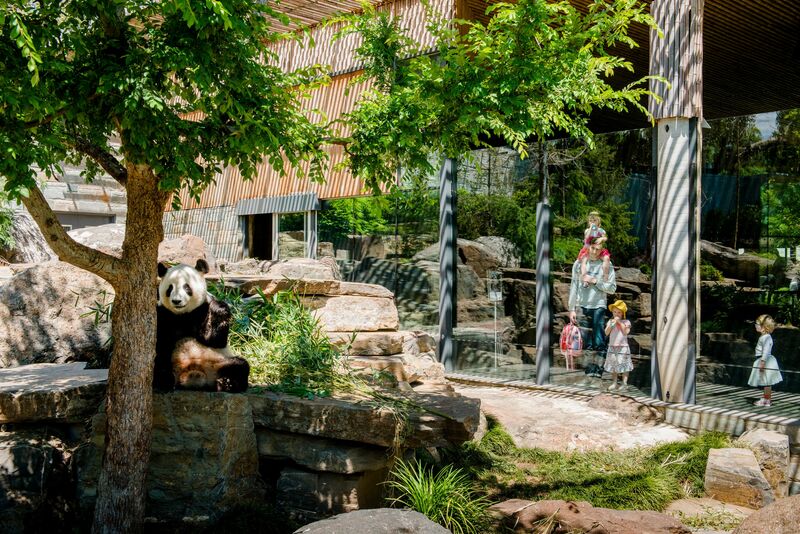 The zoo features different sections and exhibits, including the Jewels of Asia Aviary, the Children’s Zoo, the Tamarin House, the Australian Habitat Aviaries, the South American Region, the Envirodome and much more. The Adelaide Oval is the primary sports stadium in the city. The stadium is mostly used for cricket and Australian rules football, but also plays host to rugby league, rugby union, soccer, and concerts, among other events. Other facilities include a restaurant, food, drink and merchandise stands, restrooms, and even a free museum dedicated to Sir Donald Bradman (an Australian cricket icon). Coming here is one of the best things to do in Adelaide if you are a sport enthusiast, but others will probably like it as well. If you like wine, then you should definitely visit Barossa. While it’s not directly in the city, and a few kilometres away from it, it is worth a visit because the wineries here are excellent. Some of these even offer guided tours if you are interested in it. There are also farm-to-table eateries, farmers markets, and family-friendly activities like cycling and hot air balloon rides. McLaren Vale is also a region full of great wineries, but if you want to do some other activities and not just travel to drink some wine, then this place is even better for that. Six white-sand beaches, two walking and biking trails, five art galleries and a farm-to-table food scene awaits visitors. The latter also includes locally produced olive oil, fresh produce and an array of cheeses and chocolates, which makes it all the better. The Kangaroo Island is a popular island somewhat close to Adelaide. Animals commonly found on Kangaroo Island include koalas, sea lions and an array of birds, not to mention the kangaroos. There are plenty of ways to explore the island, such as kayak, bike, horse or all-terrain vehicles, and you can even go diving and see shipwrecks underwater. The Adelaide Central Market is one of Australia’s largest fresh produce markets providing a wide range of fresh and multi-cultural products, as well as serving as a popular tourist attraction. There are more than 80 vendors selling all kinds of food and drinks, both local and foreign. The most popular part of the market is of course the opportunity to try the local Australian foods, which you can either buy ingredients for or try it at one of the regular food stalls. 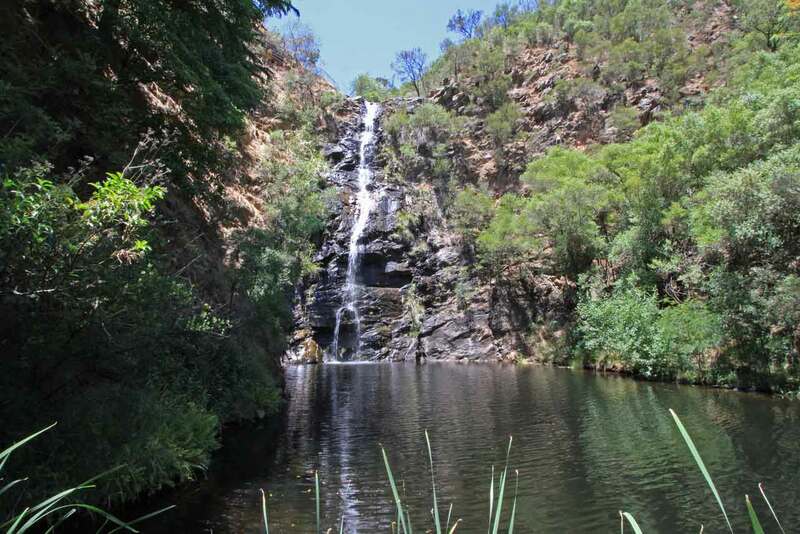 The Waterfall Gully is one of seven waterfalls situated in Cleland Conservation Park, and the largest of them. The waterfall can be reached by a bit of hiking, and those who wish for more can easily do so as the park itself is great for hiking. 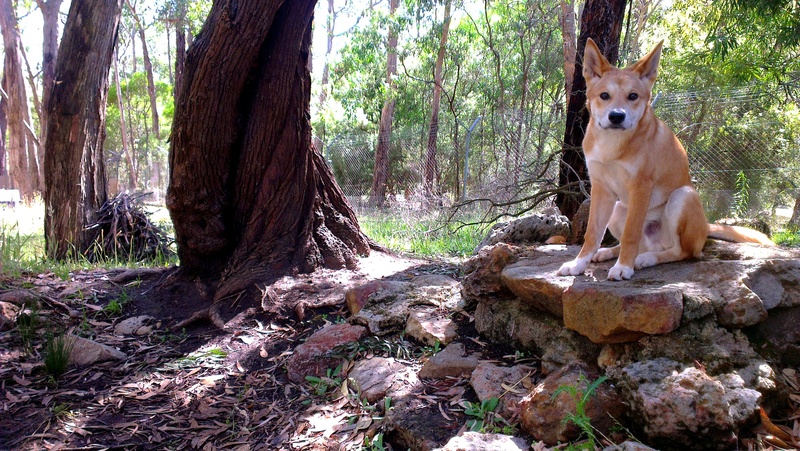 Whether you want to hike or not, you can occasionally see kangaroos, koalas or echidnas around the forest area. Photographers also love this place for obvious reasons. The South Australian Museum is a natural history museum with a great collection of artifacts to see, including things like Egyptian mummies, animal fossils, Pacific islander artifacts, aboriginal boomerangs, animal prints by Francisco José de Goya, opals and award-winning flora and fauna photographs, among many others. Both permanent and rotating exhibits are available here, so check it in advance if you wish so. 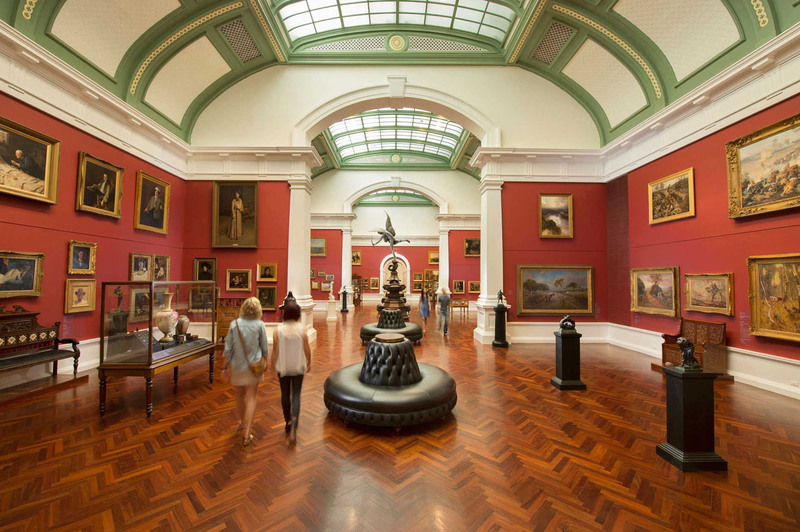 The Art Gallery of South Australia is a great place for art enthusiasts, as the museum has a collection of about 38 thousand paintings, sculptures, photographs, ceramics and more. Australian art, notably Indigenous Australian and colonial art, British art, and many more await visitors, with the most popular being the native Australian art, as not many museums have as much of them as this one. 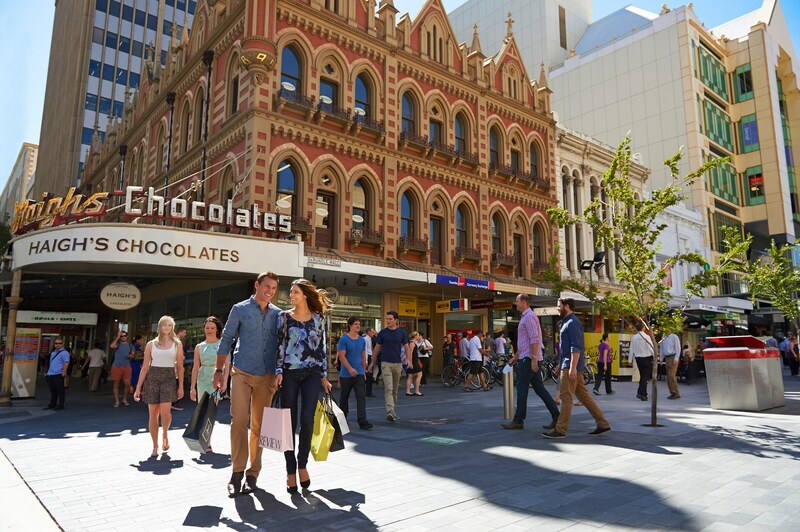 While it might not be as popular as the ones in Sydney or Melbourne, the Rundle Mall is still a highly popular mall with plenty of shops, banks, restaurants, food stands, grocery stores and much more available. The best time to come here though is during festival time, because the mall is filled with comedians, magicians, dancers and circus artists who perform on site. 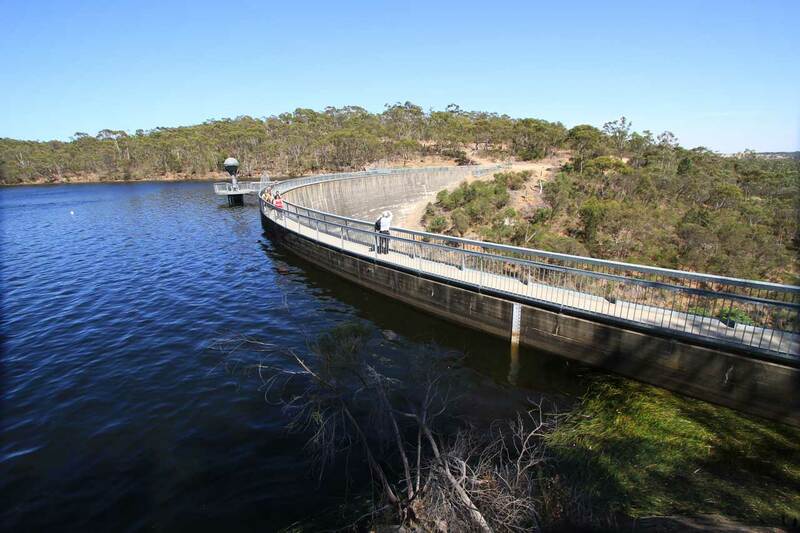 The Whispering Wall is the nickname of a dam in the Barossa Reservoir. The dam is notable for its parabola effect, where a voice can be heard clearly from one side to the other, which means from over 140 metres, end to end. This unusual acoustic phenomenon is a popular tourist attraction, and has earned the dam its nickname. 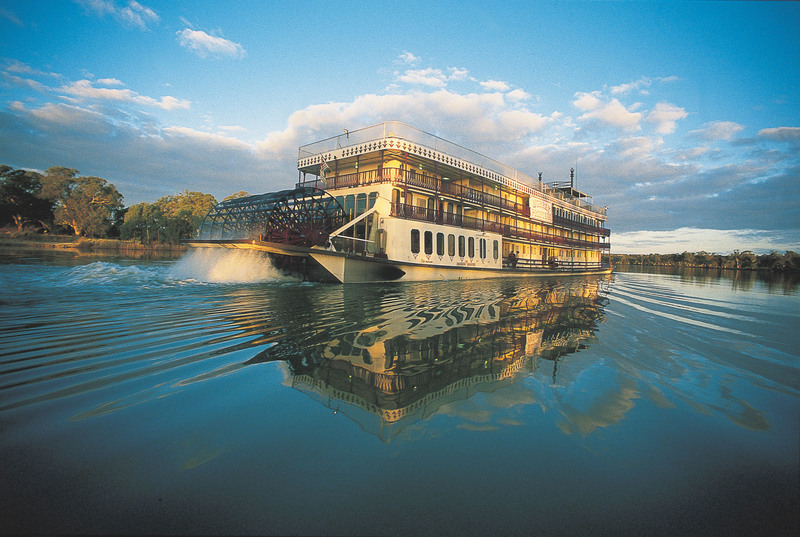 The Murray River Cruise gives you the opportunity see the longest river of Australia from the river itself. It’s 2500 kilometres long, and some of the available cruises travel from one end to the other, going through several towns while serving you delicious food and drinks. Hahndorf is a small town near Adelaide which is also the oldest German settlement in Australia. The German influence is apparent in Hahndorf and is seen in the traditional fachwerk architecture of the original surviving buildings, and many restaurants and bars serve German cuisine. Both the architecture and the cuisine is worth a visit, not to mention the charming atmosphere of the town and its citizens. 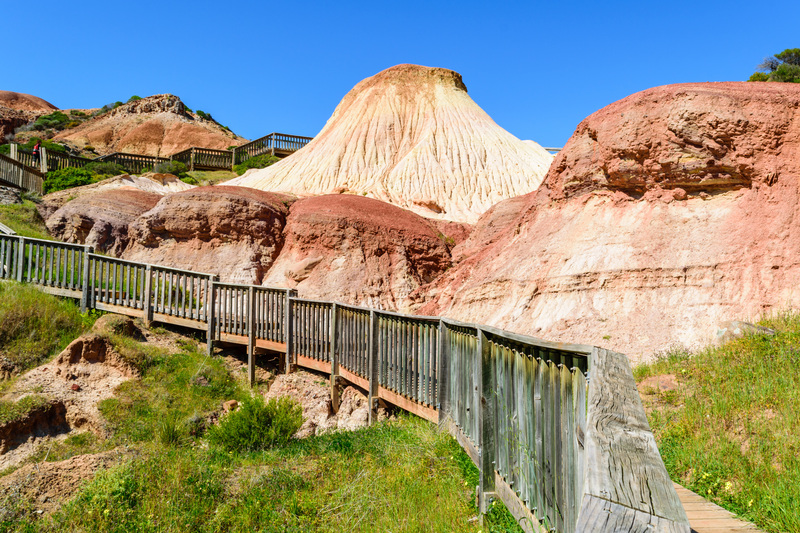 The Hallett Cove Conservation Park is one of the best known geological sites in Australia and is known for its international significance and has even been declared a Geological Monument and a Heritage Site. You can see fascinating Aboriginal stone implements and see the changes the country has gone through within the rock formations dating as far back as the Ice Age. Coming here is one of the best things to do in Adelaide if you like nature and you are interested in the formation of Australia. Port Adelaide is a beautiful and popular tourist destination with museums, restaurants, and well-preserved heritage buildings. Tourists and citizens often sit on the port and watch the ships and people go by while chatting or having a drink. The National Railway Museum, the South Australian Aviation Museum and the South Australian Maritime Museum are all located here if you are interested. 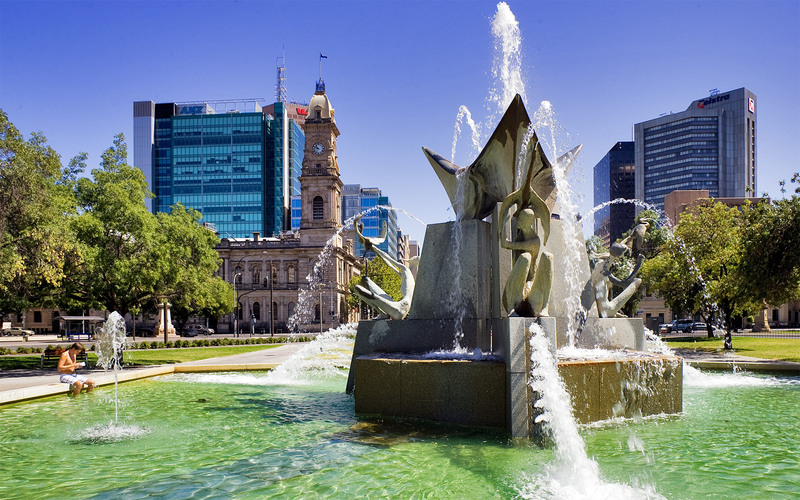 Victoria Square is the beautiful city centre of Adelaide and a popular tourist destination. 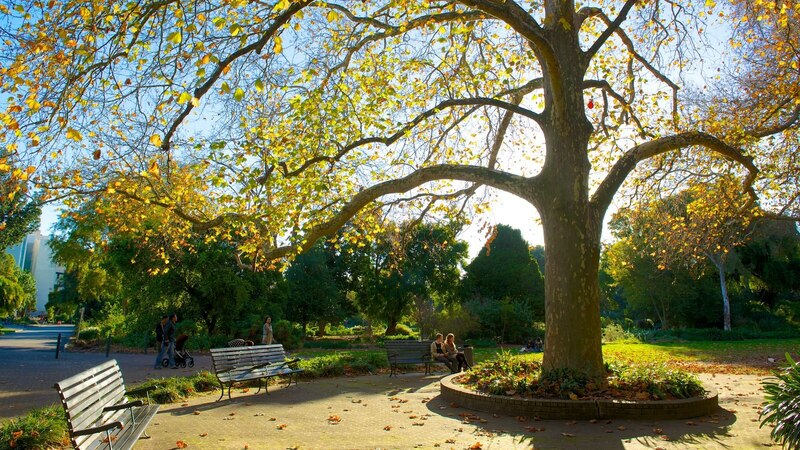 The square is also known by its aboriginal name, Tarndanyangga. The Square is surrounded by marvelous buildings and plants, and other features include a statue of Queen Victoria and a charming fountain with figures representing the three principal rivers of South Australia, the Murray, the Torrens, and the Onkaparinga. The Cleland Wildlife Park offers an opportunity to see Australian animals up-close, and even feed them. Kangaroos, dingos, wallabies, potoroos, and emus roam freely in the wide-open spaces, and visitors can wander among them. For an extra fee, visitors can even cuddle a koala and take home a souvenir photo as a memory. The State Library of South Australia is an excellent library with a great collection of both old and new books, rare and regular ones. The library and its collection can be divided into different sections like the General reference collections, the Heritage collections, the Rare books and the Children’s Literature Research Collection. The Adelaide Festival Centre is a popular place as it serves as a multi-purpose arts centre which can be easily seen from the distance due to the three white geometric dome roofs and its plaza consisting of lego block-like structures. The different buildings serve as different venues, like the Festival Theatre, the Dunstan Playhouse, the Space Theatre, Her Majesty’s Theatre and more.